With Queen Elizabeth II naming Prince Charles as her successor for the first time and issuing a request to the Commonwealth Heads of Government to name him as such this week, we thought we would share this story. Later that week, Boye found himself in London performing for a charity that celebrates the accomplishments of inner-city kids called “The Prince’s Trust.” One day during the tour, Boye heard a frantic voice yelling from the hallway, “Quick, hurry! Prince Charles wants to meet everyone” ("Prince Charles and the Book of Mormon"). "We thought it was a joke," Boye remembers, until he saw a scarlet helicopter with the royal family’s crest landing on the lawn. Boye stared blankly at his room, confused by the prompting. "I went to my room and stood there looking around and asking myself, 'What now?' 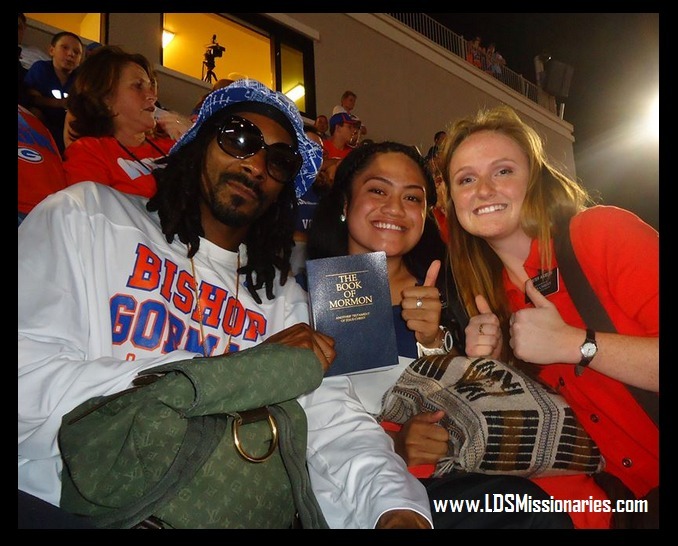 Then I saw my copy of the Book of Mormon my ward mission leader gave me," Boye writes. "I grabbed it, stuck it in my back pocket and rushed back downstairs." With this inexpensive, mass-produced copy of scripture tucked away, Boye prepared for his audience with Prince Charles. "As he approached the helicopter to leave I had a strong impression that I needed to give Prince Charles the book in my back pocket. I thought to myself, 'How could I accomplish this?' He had already moved on and you’re not allowed to step out of line until Prince Charles has exited. So I wondered how to grab his attention without being disrespectful," Boye writes. "I did the first thing that came naturally to me. I waved my hands in the air, screamed for Prince Charles, and stepped out of line. I did it. I had broken three rules. I realized what I had done and stepped back in line, putting my head down in embarrassment. "With my head still down in shame, two large feet appeared in front of me. I looked up and to my surprise I saw Prince Charles. Gathering my composure, I said, 'On behalf of my church I would like to give you a gift.'" Boye reached for the book in his back pocket. At this motion, security guards started to descend. "Security went crazy, assuming I was reaching for something more dangerous," Boye writes. "I managed to get the book from my pocket and extend my hand to give it to him, breaking a fourth rule. After looking at the book for what seemed like an eternity, he took it. "He looked at it, brought it close to his chest and said to me that he thought it would prove some interesting reading. 'Yes it will,' I responded. 'Perhaps you could read it in the helicopter on your way home.' He told me that he may just do that. And then he left." That next Sunday, when Boye stood to report on the challenge from his ward mission leader, very few members believed him. That is, until they saw footage of him handing Prince Charles a Book of Mormon on the news later that night. "Who would have thought that someone like me, trying to promote my music, would be standing at the feet of royalty in England promoting my faith?" Boye asks. "The Lord uses ordinary people to accomplish extraordinary things. Thanks to the challenge of my ward mission leader, I had the courage to stand up for my faith and give a royal gift to royalty." Soon after Boye published his account of giving a Book of Mormon to royalty in 2012, people began writing in sharing how his stories impacted their own lives. "This story brought a huge smile to my face! This goes to show that when the spirit is behind us, what need we fear? If something is Father's will then it can be accomplished—kings, presidents, or dictators aside. The key is humility and worthiness that Alex must have had for this all to have happened," Christmas Carole said. "Thank you for providing me a 'real person' story to share with my boys on how to have true courage to follow the Spirit, even when it's scary. You are a very brave man," Jennifer Ete said. "Your story about giving a Book of Mormon was so inspiring to me that I've committed to myself to carry one with me in my purse and car all the time so I can be prepared when the opportunity arises," Geri Gibbs said. "Thank you for your courage. And, thank your ward mission leader, whose challenge may actually go around the world!" To read Alex Boye’s personal account of his encounter with Prince Charles, check out this article from the Deseret News.